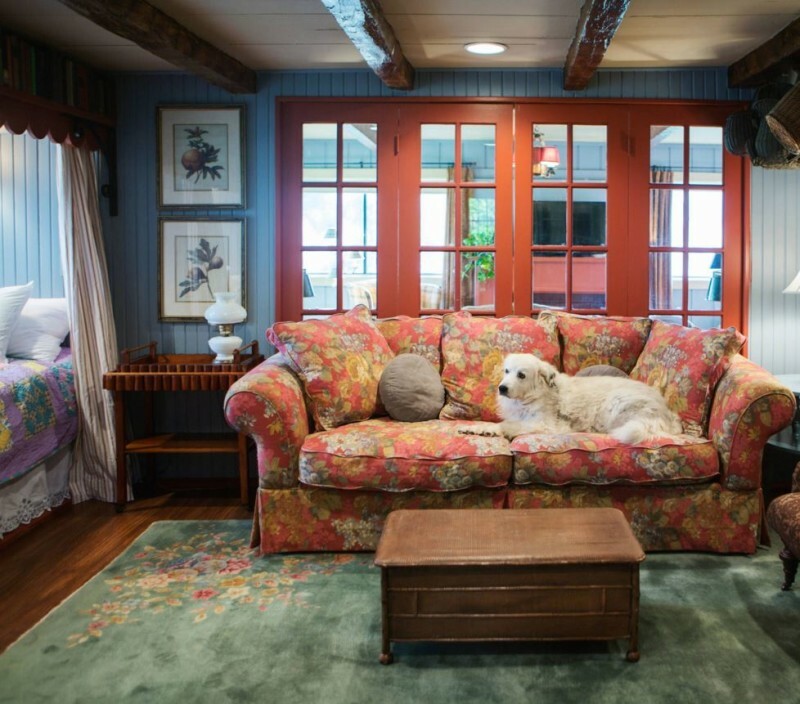 She’s turned it into a really colorful and cozy place — take a look! Note: this post contains Amazon affiliate links that may pay me commission at no cost to you. Her mother Patty was the one who bought the 80-acre property outside Morrison, Missouri. She thought it was a “special, magical place.” When she became ill, Connie moved from Chicago to care for her until she died. 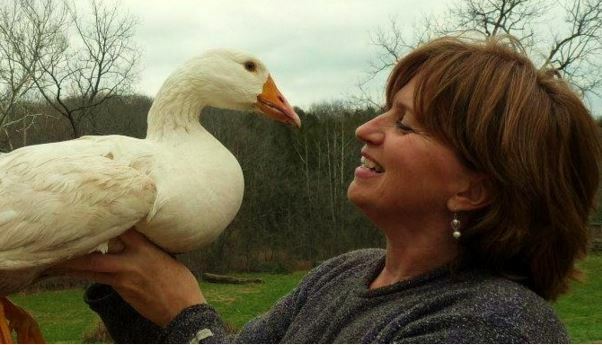 Connie remained on the farm and decided to try raising geese to help pay the taxes on it. Not only had she discovered a good “niche market” for farming, but she enjoyed taking care of them. The flock has since grown into the hundreds. The rooms were all white before but are color-full now! I can’t imagine a cozier place to nap! There are 3 bedrooms & 1 bath. 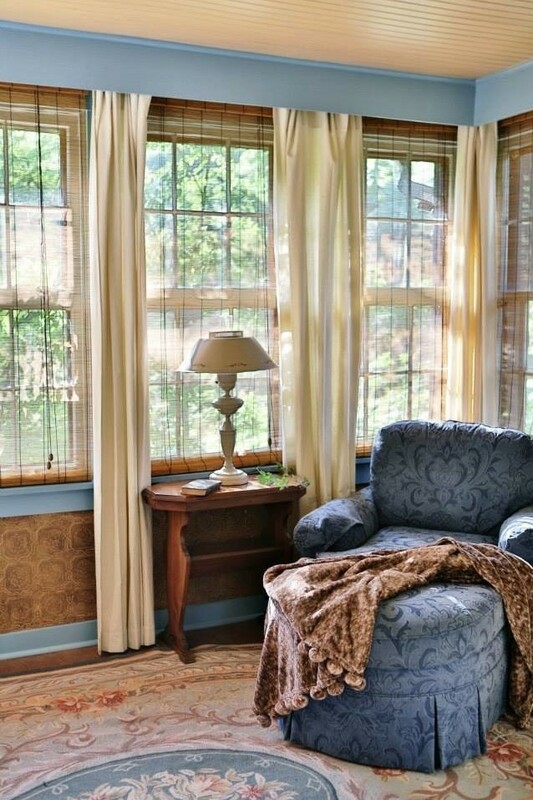 The entire cottage was decorated on a budget with finds from Craigslist, eBay, and auctions. 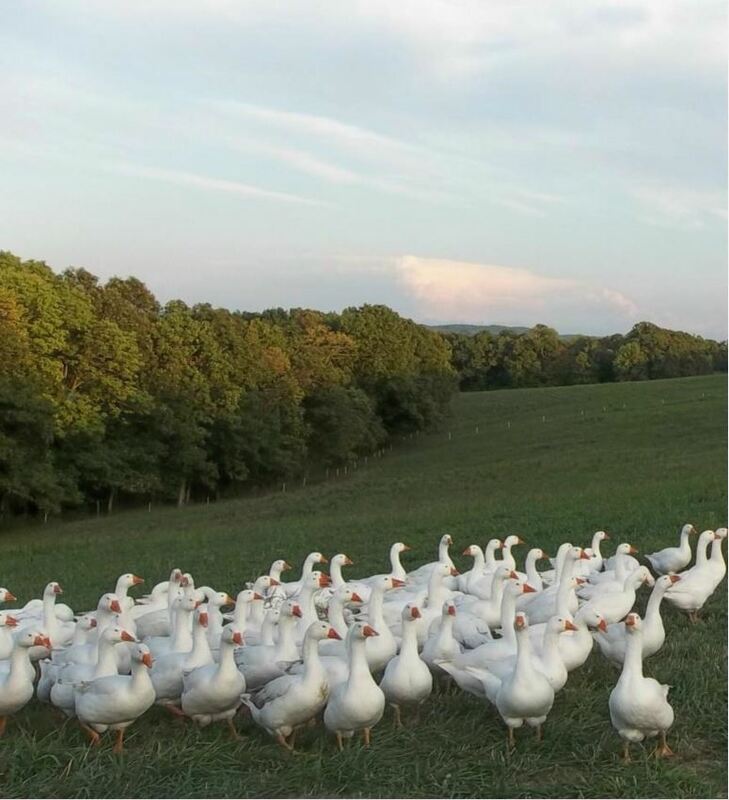 The geese roam freely on the property. Very sweet and cozy! It looks like one of those Brambley Hedge illustrations. Nice to see someone using color for a change. I am about 1.5 hours from St Louis, just outside Hermann Mo. where all our wineries are. What are you doing in St Louis? And thanks for liking the red and green kitchen. I swear when I would tell my friends I was going to do a red and green kitchen, there would always then be these long awkward silences. You could just feel them thinking, “Has she totally lost it down there?” lol….. once they finally saw it and the Larsen inspiration, it made a little more sense. But yeah, people really shy away from color – especially opposites on the color wheel. 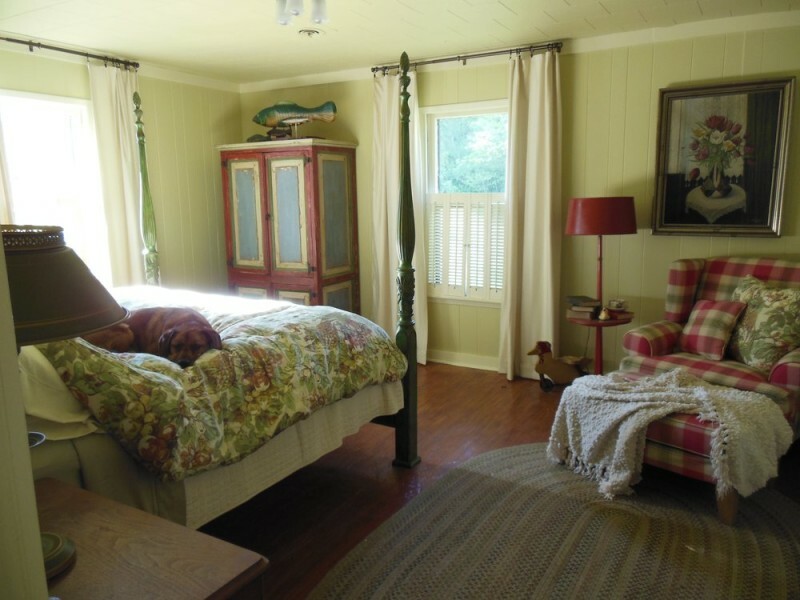 I just love everything you have done with your cottage!! I myself love and need color. I appreciate the white that is so popular now. 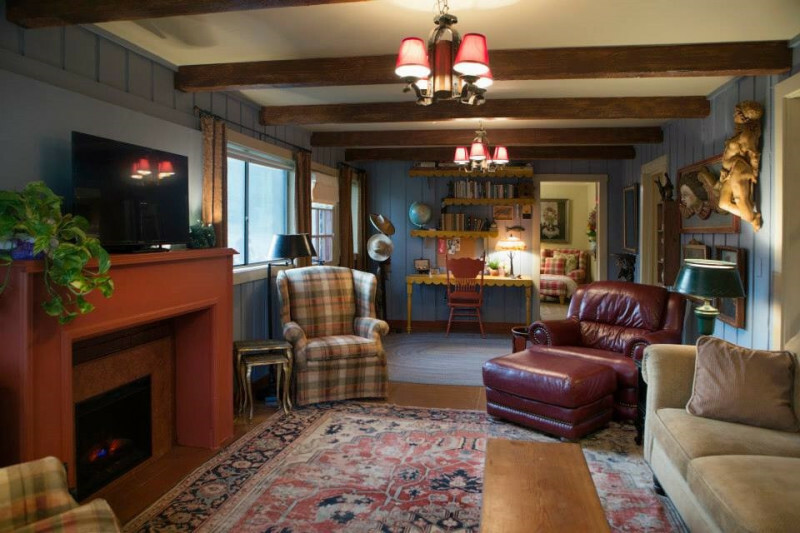 Color just seems to be much more cozy and warm. 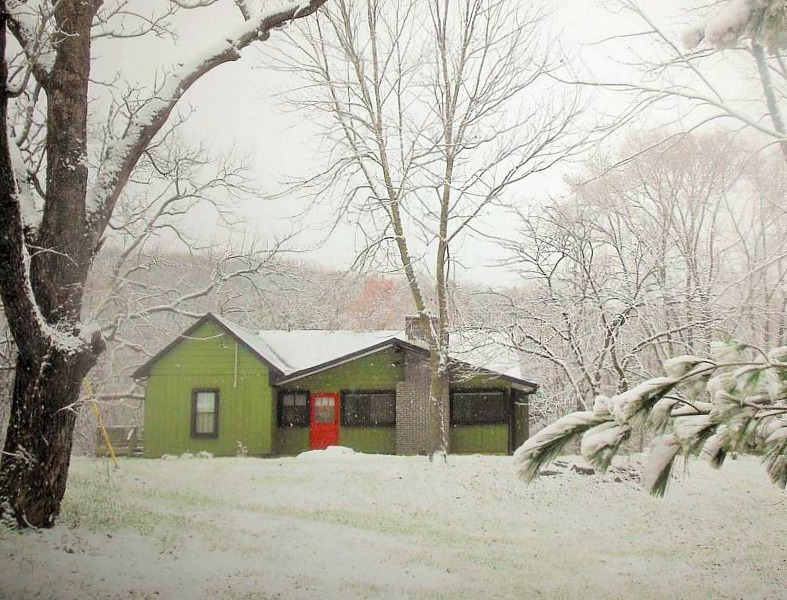 This cottage makes me want to move in. The farm setting is just beautiful! 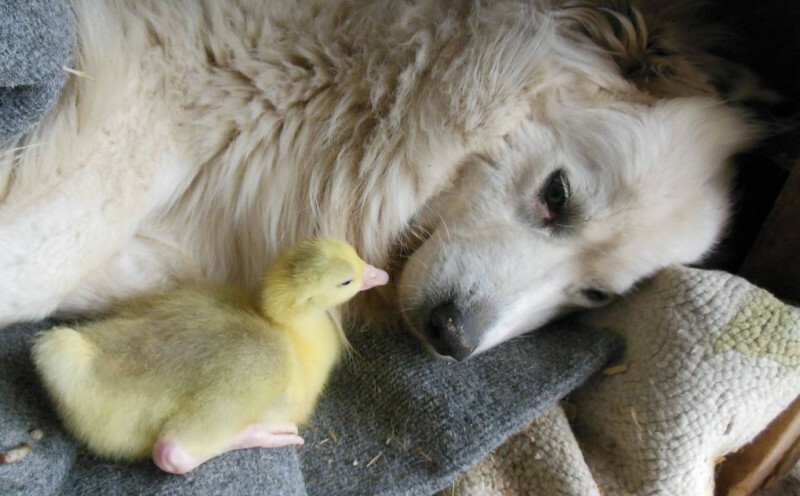 Love those dogs and the geese!!! I love it! Beautiful setting and I could happily live here. Not a lot of counter space in the kitchen, but those adorable built-in beds make up for it. The home is so adorable! I love what she did! 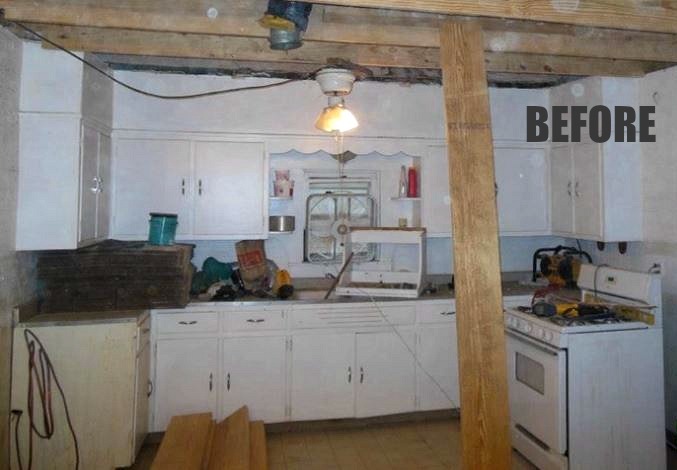 Glad she reused the kitchen instead of tearing out the cabinets. thanks! 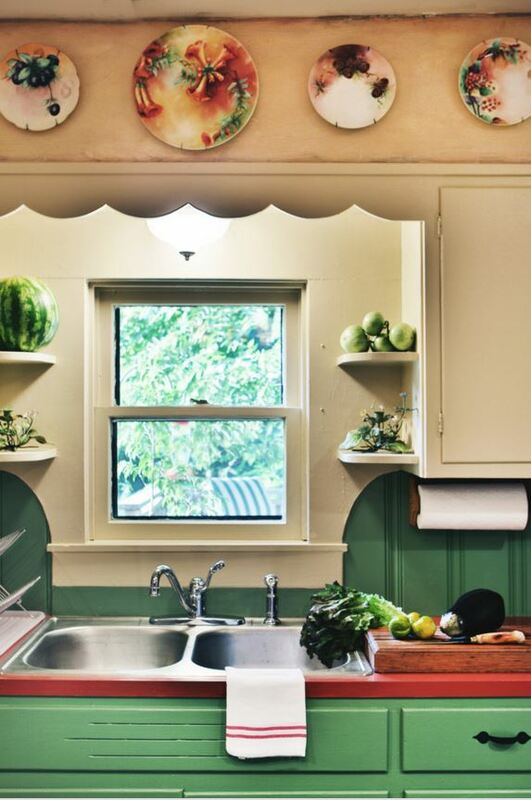 I love the scalloped edge over the sink and old cabinets too. They function great, so why remove them & make more work & costs for myself. I love working with what I have. 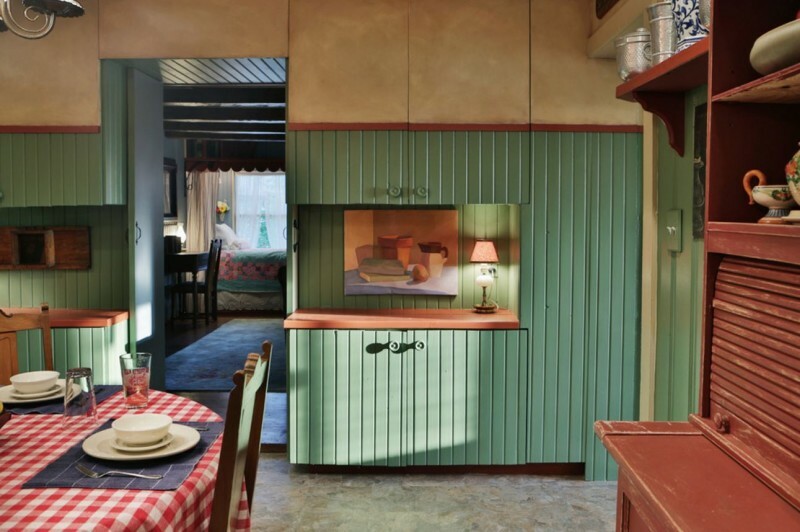 Oh, I love that Carl Larsson inspired kitchen. I have two trays with his artwork above the sink (which is the only thing that makes me happy when standing at our windowless sink). What a cozy place! I love this, so much. It’s not my style by any means but it is so wonderfully realized I can’t help but love it. 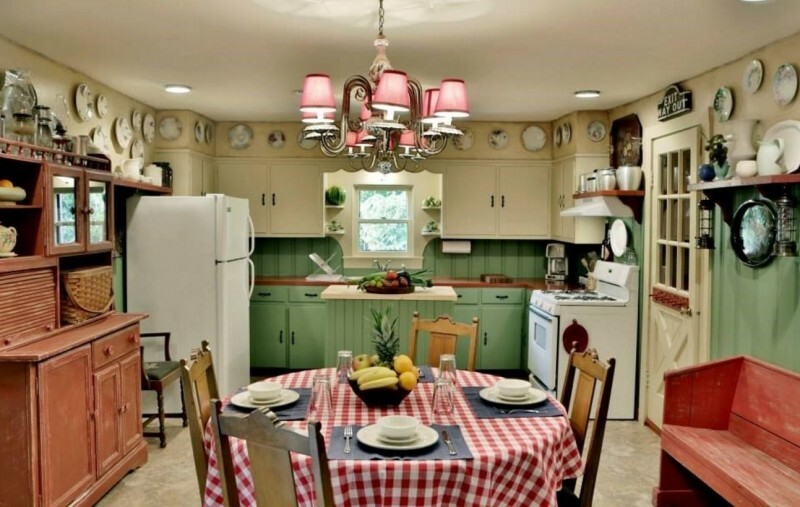 I love all the old fashioned colors, and the kitchen is so homey it reminds me of my grandmas. You hit the nail on the head. 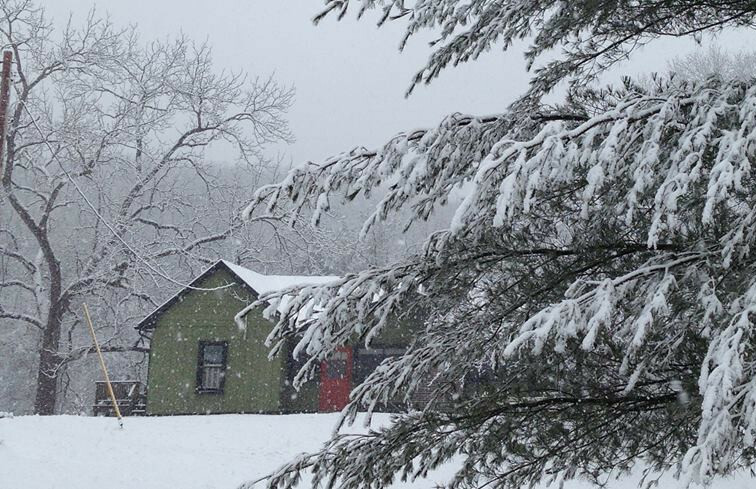 It is supposed to feel like going home to Gramma’s farm. Whether or not you actually ever had that yourself. * I did 🙂 so knew what I was trying to recreate. All that is missing is the scent of baked apples. I had a designer walk in once for a dinner party and he looked carefully around the house, stood back and looked here and there looked through doorways to other rooms, inspected the antiques and finally turned back to me, smiled and said, “You created a beautiful stage set didnt you? People can come into this space and stay in an entirely different world than their own and be different themselves”. 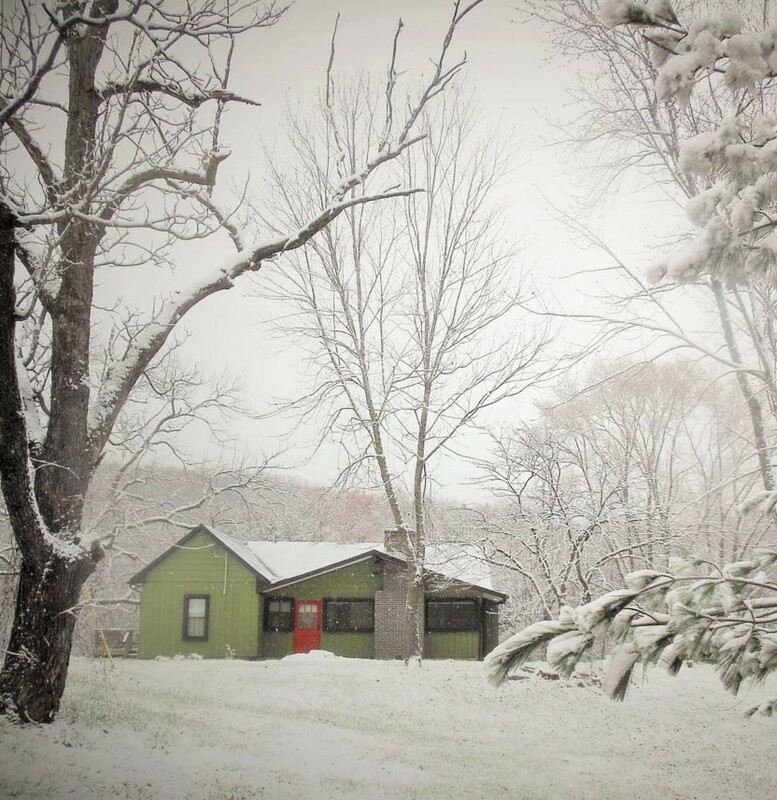 What a lovely story and charming cottage.Thank you, Julia for this and your many unusual gems. Connie, what a wonderful job you’ve done! You have a very good eye, and everything fits and is warm, cozy and colorful, and delightful. 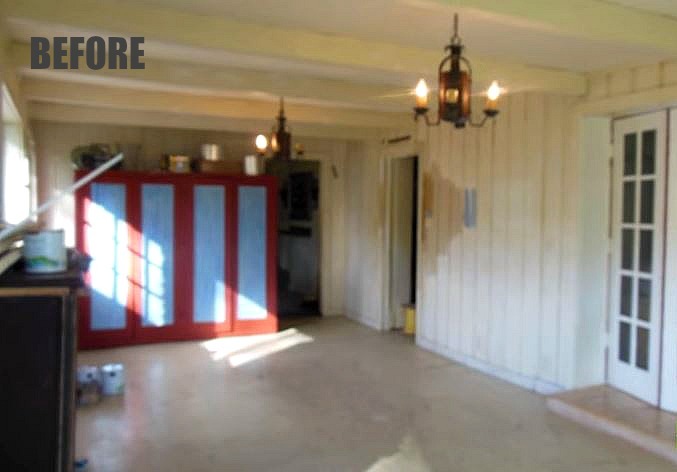 The kitchen is fantastic and I admire how you reused so much of it. Most important, for me, are your gorgeous Pyrs. I had one 25 years ago called Emma. She was a rescue and a gorgeous girl. 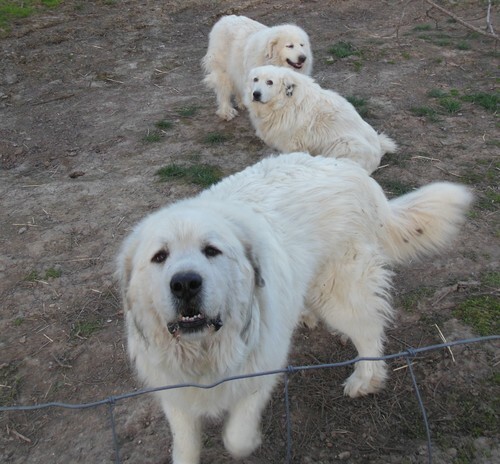 I live in France now, and they’re known as Pyrenean Mountain Dogs here. I hope to have another one day. I have 6 pyrenees right now. 3 in retirement and 3 working. They are awesome creatures. Thank you for sharing this, Connie. Wonderful. Lovely vid, thank you, Connie. I can see why the writer might get slightly sidetracked by those gorgeous white gosherds! I had a Newf after Emma. Missing my big dogs. 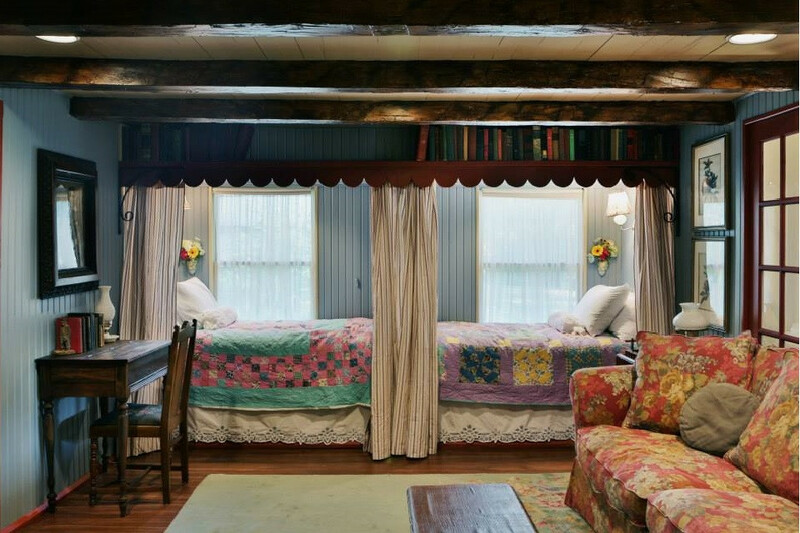 What a truly lovely place, those built-in beds are amazing! Plus a lovely video too!. Thank you for sharing. Connie, well done!! 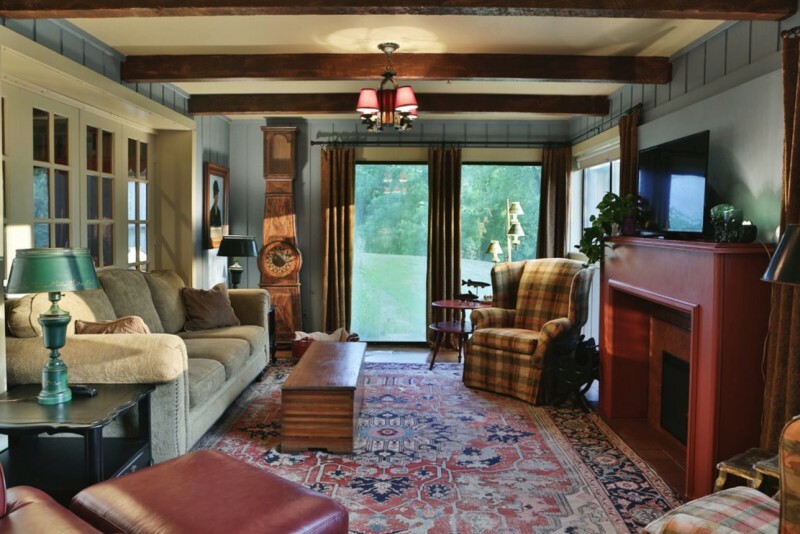 As someone previously stated this isn’t the decorating style I’d choose for my own house but I SO can appreciate and admire it for pulling off that quaint, homey, charming feel that a cottage should have. My first thought was that it looks like something out of a Mary Engelbreit book! And anyone who owns Pyrenees is alright in my book! 🙂 Great dogs. 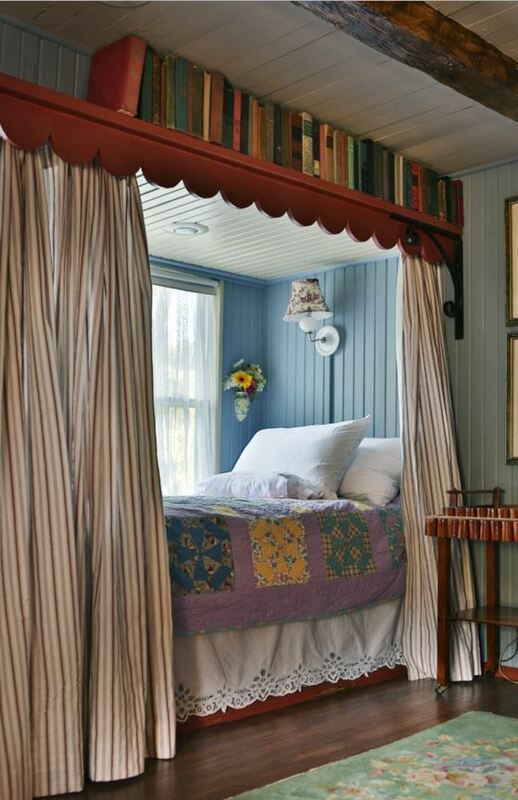 the way she did the built-in beds is brilliant! so cozy and so easy to replicate! Nanne- it is easily done! his colors are so thoughtful. The Swedish Falun Red is so beautiful, but the closest I could get was barn red. So that was fine. My place in Chgo was painted in all Swedish colors because the winters are so harsh and dreary there. My bedroom now is a Swedish yellow. I love how this home isn’t trying to be modern and trendy. It’s so snuggly feeling and beautiful..
LOVE the kitchen! 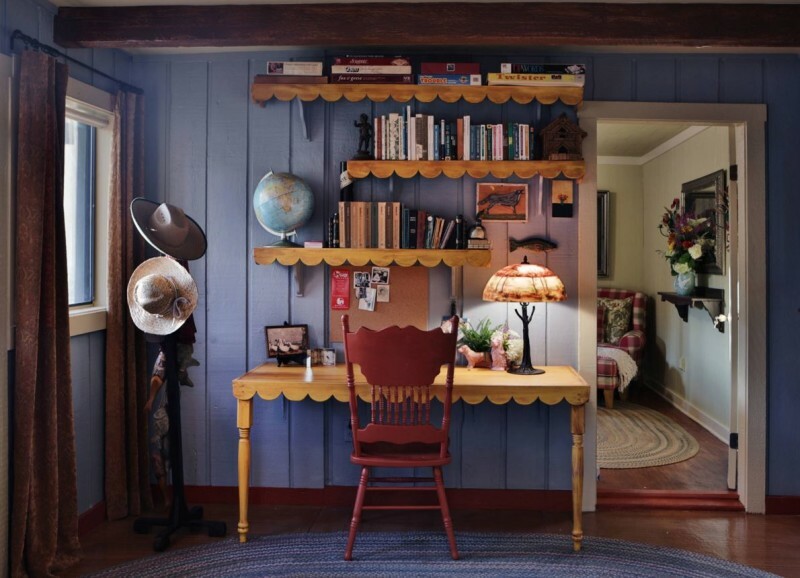 Now THAT is what I would call “farm house style” not this.. everything is a shade of White, lets rummage through the junk pile to see what we can decorate with trend.. 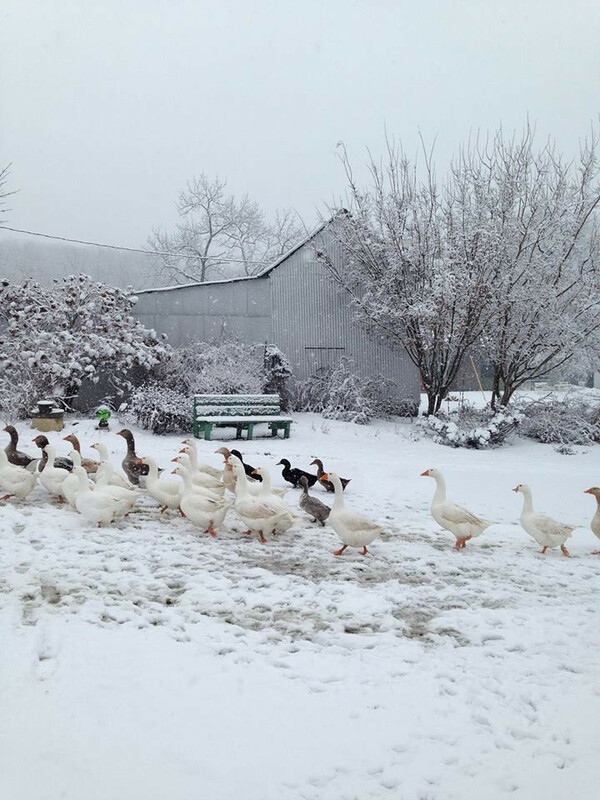 The house fits the land and what an added bonus that it’s home to Geese!! how neat is that?? and of course the Great Pyrenees Dogs are fabulous! We have two guarding our herd of Goats..they’re wonderful guardians and super sweet to boot. Adorable! Love the kitchen, especially! I LOVE that kitchen. Just love it. Those are the exact same cabinets/drawers/pulls/scallops, etc. we have in our 1930s Texas cottage kitchen. I see them over and over. What’s up with THAT? LOL. I LOVE LOVE what they did to the place. I’m about to repaint my cabinets again, and am going with a green next time, too. The “Tropical Coconut” turned out to be pink. LOL. We also have pine butcher-blocks countertops, so I know it’ll look good. This absolutely beautiful and cosy! 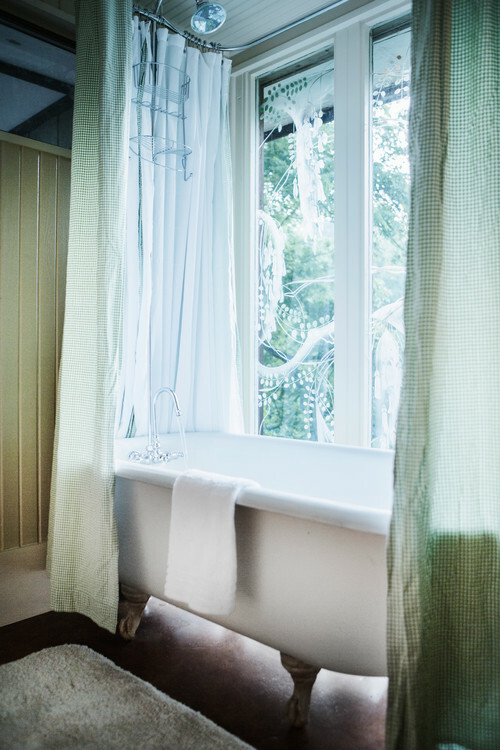 You’ve done a wonderful job turning your mums house into something so lovely! 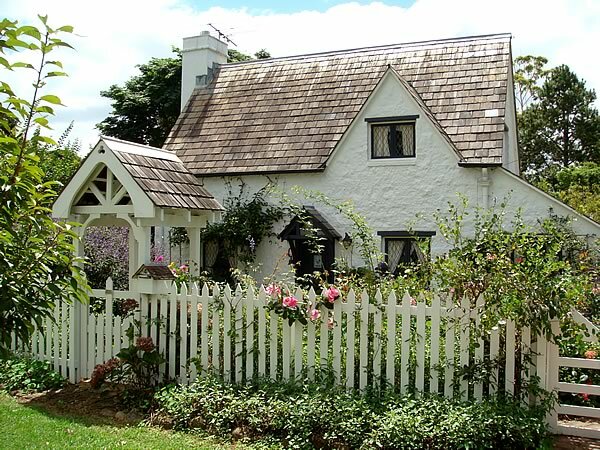 Would love to own a country house one day as i live in a lovely (growing) country town here in Australia! I SO loved this story! Thanks for sharing with us. What a magical place. 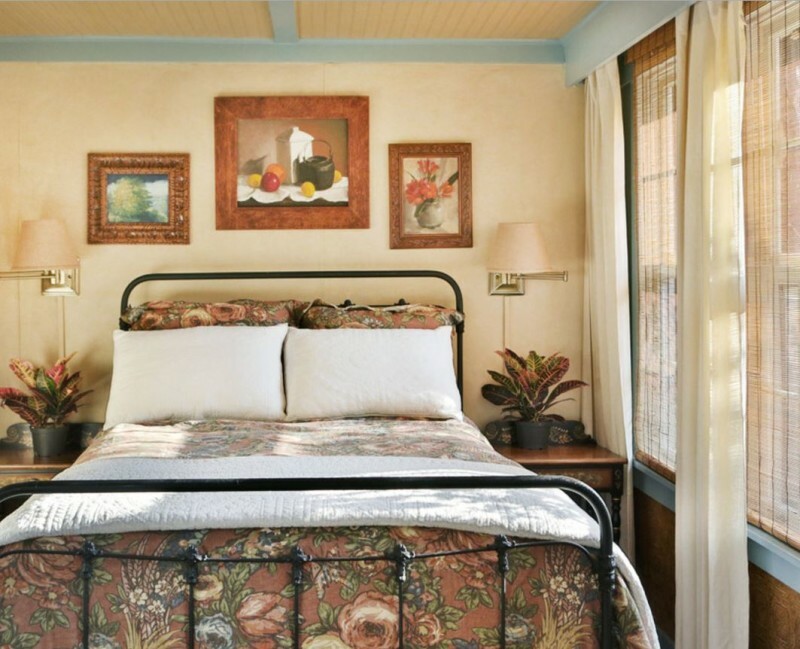 I love that a painting was used for the inspiration for the remodel – that is surely putting ones’ heart and soul into a space. A lovely story. A magical place. I would give everything to spend a week there.